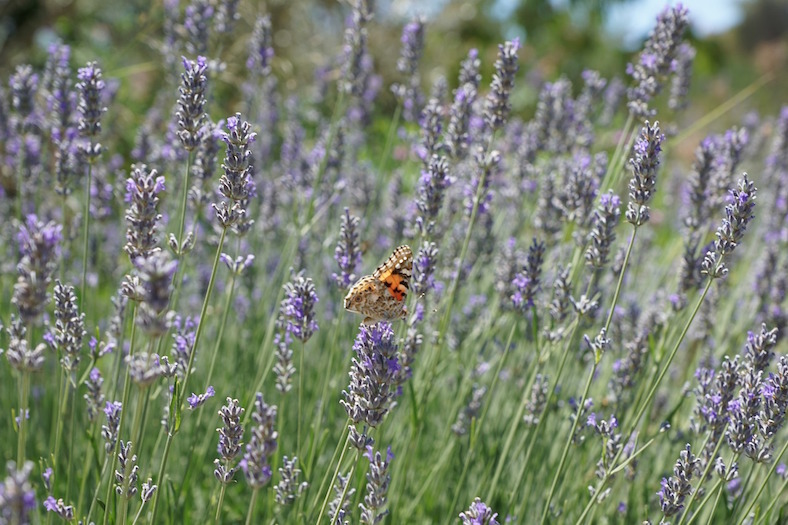 Lavender is kind of the *it* thing to grow these days. There are huge festivals dedicated to the plants and I know several people who devote entire garden spaces to growing nothing but lavender. I love the way it smells — I buy lavender soap, I have lavender oil drops that I love to add to my bath water and I can never resist reaching down and rubbing a leaf of it between my fingers when I pass a lavender plant. So I was pretty excited when I was at a cafe last week and saw lavender scones in the bakery case. The young woman working there assured me that they were delicious and I immediately ordered one to have with my tea. It was beautiful to look at, the texture was light, flaky and buttery…………and it tasted like taking a bite out of a bar of soap. Some things just don’t belong in scones.